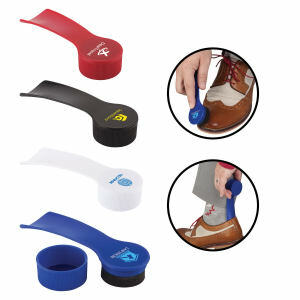 One accessory professionals can’t ignore is their shoes and our custom printed promotional shoehorns and shoe shines are great gifts for peers, clients and customers. Shiny leather shoes reveal your identity as a businessman, and your commitment to upholding your company’s public appearance. If you are in the shoe business, then you definitely need to use customized logo shoehorns and shines to promote yourself! Your shoe store customers will love receiving these logo imprinted shoehorns, especially as a giveaway item with the purchase of a new pair of shoes. Clients and colleagues will slip into their shoes more easily with custom promotional shoehorns and shines. 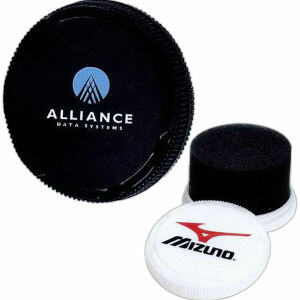 Personalize any of our various promotional shoe items with your corporate logo and name to create a marketing campaign that will shine. 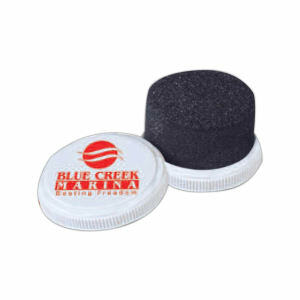 If the shoe fits, then clearly your custom imprinted shoehorns and shines are keeping all of your customers happy!